Who will get it right on October 25th when Tanzania decides? With exactly 5 days to the much awaited Tanzania presidential elections, political temperatures are on a steady rise with candidates doing all they can to influence the voters, even as the campaigns enter the final stretch. The 2015 presidential poll, which has been described as a historic poll in the East African country, has attracted eight candidates – all of them hoping to succeed President Jakaya Mrisho Kikwete who retires next Sunday after serving the maximum two terms. 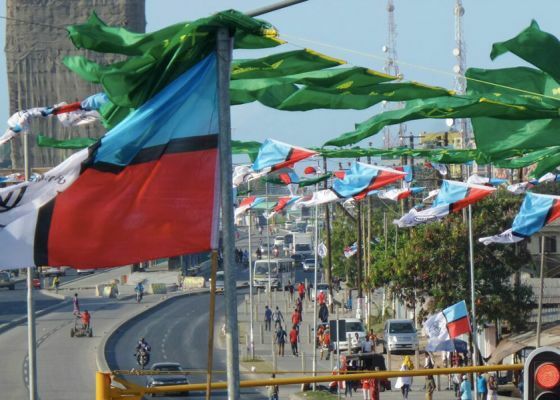 The streets of Dar Es Salaam have been completely transformed with political parties putting up thousands of billboards and party flags competing for space. The election mood in the country is comparable to that of the 1995 polls, which attracted four presidential contenders. Despite facing a tough resistance then, the Chama Cha Mapinduzi (CCM) candidate Benjamin Mkapa emerged victorious after garnering over 4 million votes, representing 61.82 per cent of the total vote cast against his closest challenger Augustine Mrema of the National Convention for Construction and Reform – Mageuzi who garnered just under 2 million votes, representing 27.77 per cent of the total vote cast. However, this year’s elections are seen as the most threatening to CCM’s dominance having been in power for close to 50 years. CCM and its supporters, however, believe that the party cannot be removed from office by the opposition as currently constituted, saying that it (opposition) lacks a clear vision and leadership that can oust it (CCM) from power. According to Swaleh Jumanne, a CCM supporter, the ruling party will emerge victorious in the Sunday, October 25th elections on grounds that it has performed as per Tanzanians’ expectations. Mr Jumanne argues that the opposition candidate, Edward Ngoyai Lowassa – who served under the CCM’s leadership as a government official in different capacities for over 30 years, is still a CCM member but was forced by circumstances to defect to Chadema. He further says that Mr Lowassa, whose agenda in the hotly contested poll is change (‘Mabadiliko’), cannot bring any tangible change to the country having failed to do so during his tenure as a government officer including being the Prime Minister from 2005-08 under the leadership of President Kikwete. On the other hand, Chadema supporters feel that the country is now ripe for change and the opposition is well prepared and equipped to bring the much-needed Mabadiliko. Mr Jefari Rajabu, an opposition supporter, says that despite Lowassa having been implicated in corruption allegations, he is the best-suited candidate to drive the change agenda. He says that Tanzanians are fatigued by CCM’s prolonged ruling that has badly affected the development and economic stability of the country. Mr Rajabu says that the youth – who are the majority – are in need of change and better opportunities. Despite the Kikwete succession attracting eight contestants, the race has already shaped up with Lowassa and CCM’s Dr John Pombe Magufuli – a renown workhorse – being the two main contestants. This year’s election will be the fifth quinquennial election to be held in Tanzania since the restoration of multi-party system in 1992. But can the opposition dislodge CCM from the country’s top most office? It is a wait and see situation as candidates try to sway voters ahead of the Sunday poll.